This is a sponsored post from Martha Stewart Crafts, Plaid, and Blueprint Social. 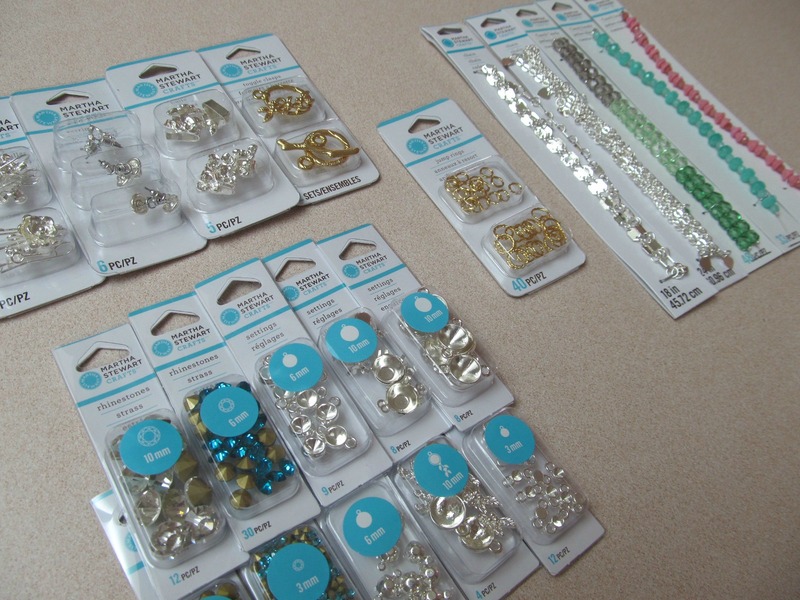 I received supplies and materials to create a custom piece of jewelry. Jewelry design, text, and opinions are my own. 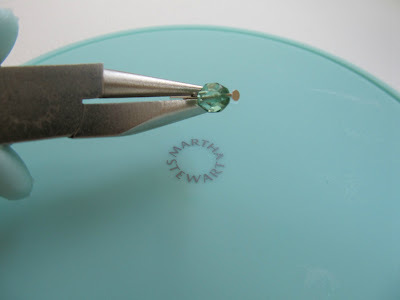 When I had the opportunity to try out the new Martha Stewart Jewelry line, I said YES! I felt like Ralphie in A Christmas Story waiting for his Little Orphan Annie Secret Decoder Ring. Finally the box of supplies came to my door. I rushed to open it and it was just like Christmas! So many fun materials and supplies! 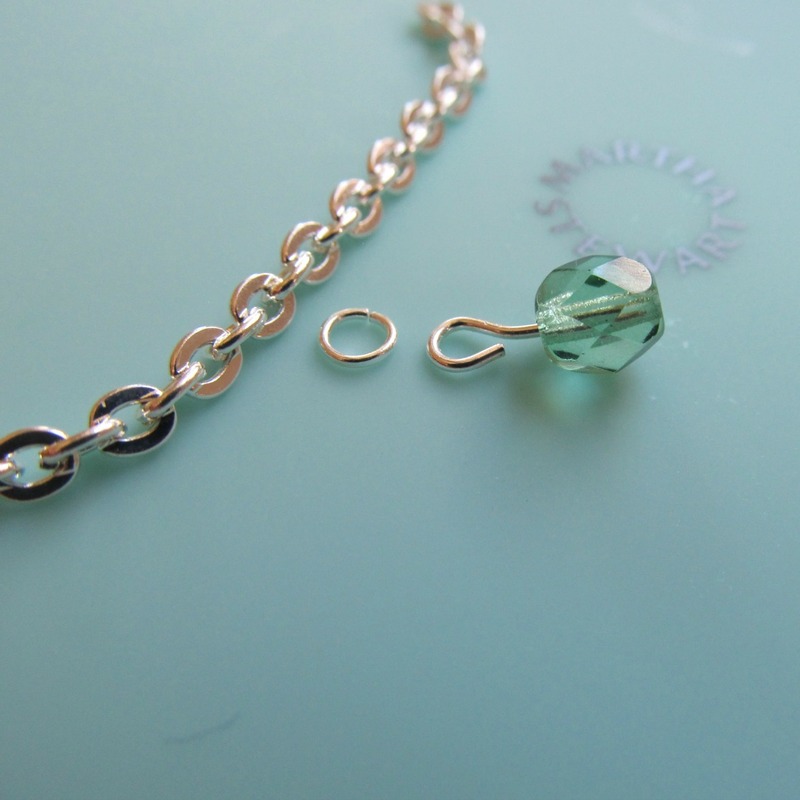 Everything needed to make beautiful and customized jewelry. 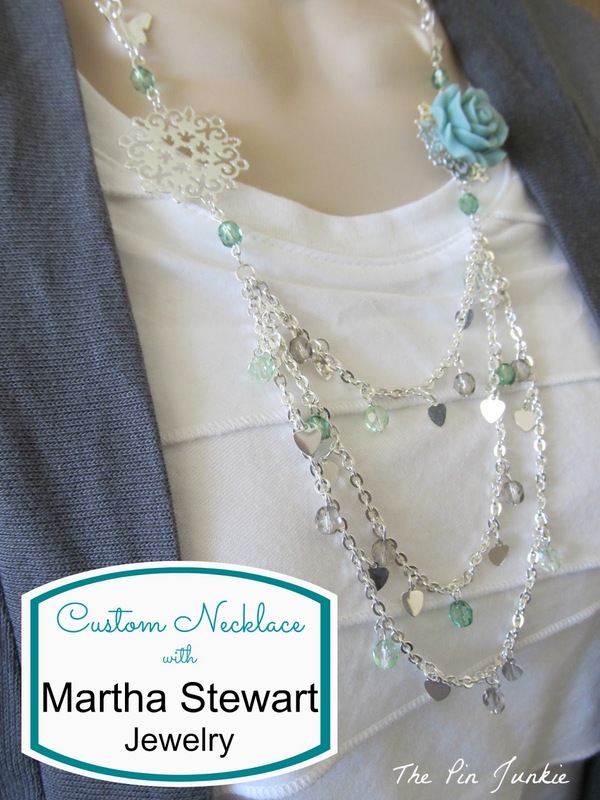 Martha Stewart has so many jewelry findings, chains, charms, rhinestones, settings, molds, and paints that the possibilities of what you can create are endless! 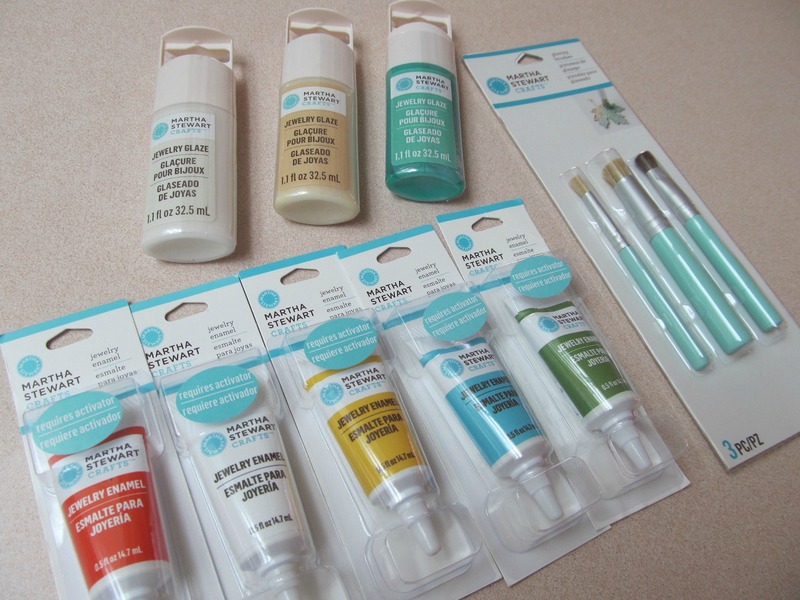 Martha Stewart also has many specialized tools to help you as you're creating your masterpiece. I really enjoyed working with this line of products. The jewelry settings are so pretty and there are so many to choose from. 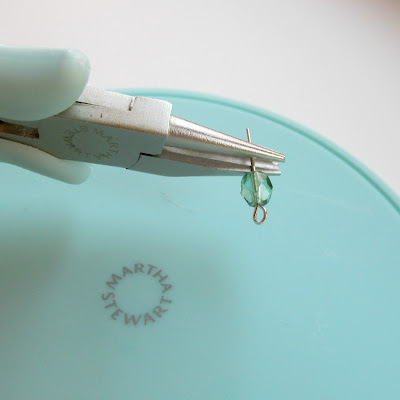 The tools made working with jewelry findings easy. 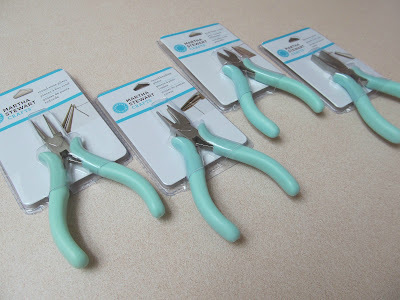 The pliers and the silicone work mat are must haves! The silicone work mat is multifunctional. Not only does it prevent beads and other small items from rolling away, it can also be used as a pallet for mixing paint and working with clay. Everything is available at Michael's! 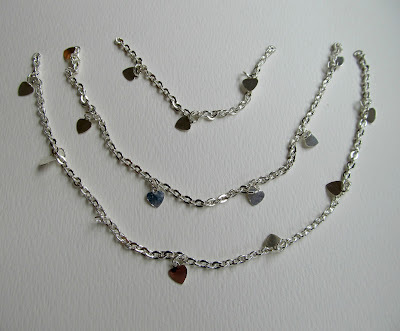 Divide the chain into three pieces. Make connections for the beads with eye pins. Use the round bending pliers to bend the wire of the eye pin. They'll look like this when finished. Use jump rings to connect all the pieces together. 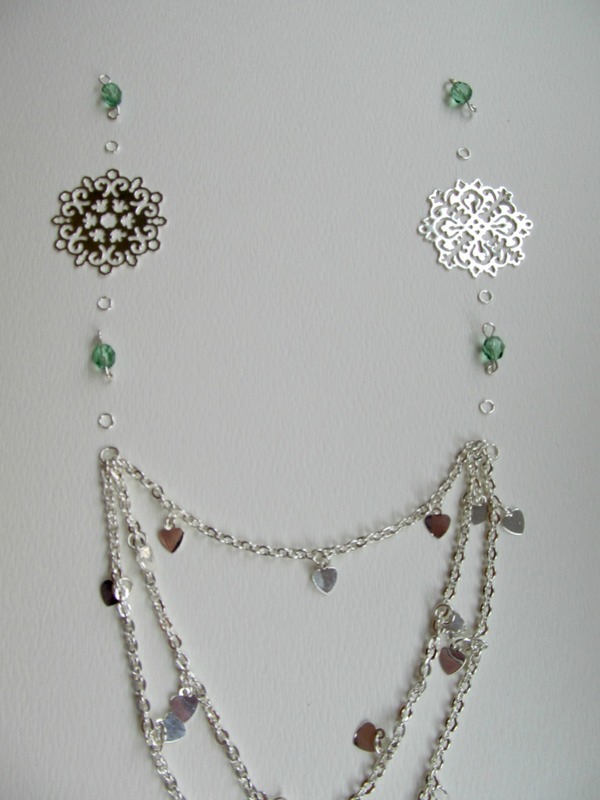 Next, add beads to the chain. Thread the bead onto a head pin. 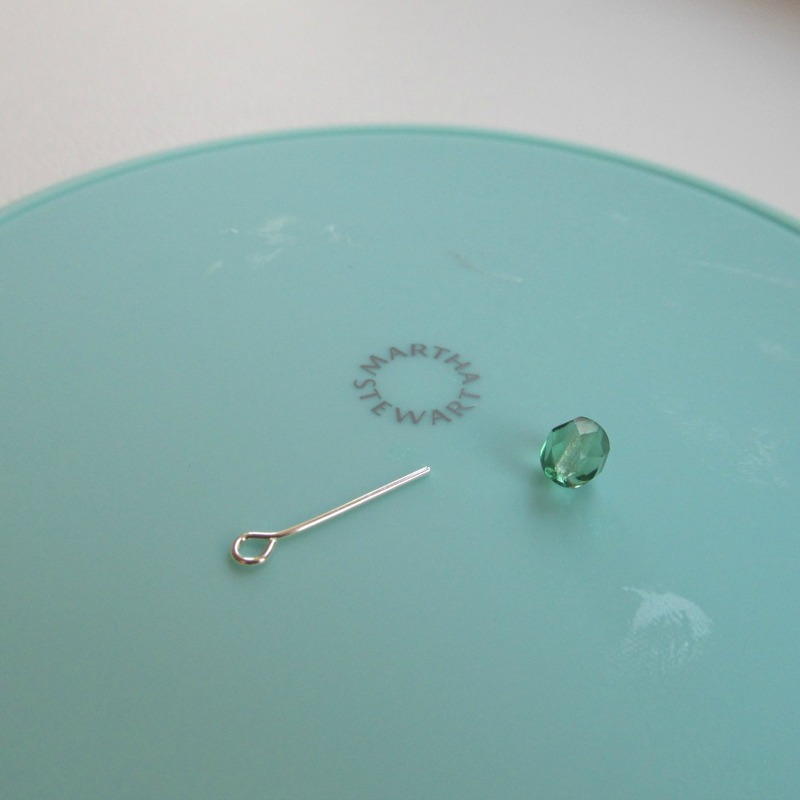 Bend the wire of the head pin to make a loop. Connect the beads to the chain with jump rings. 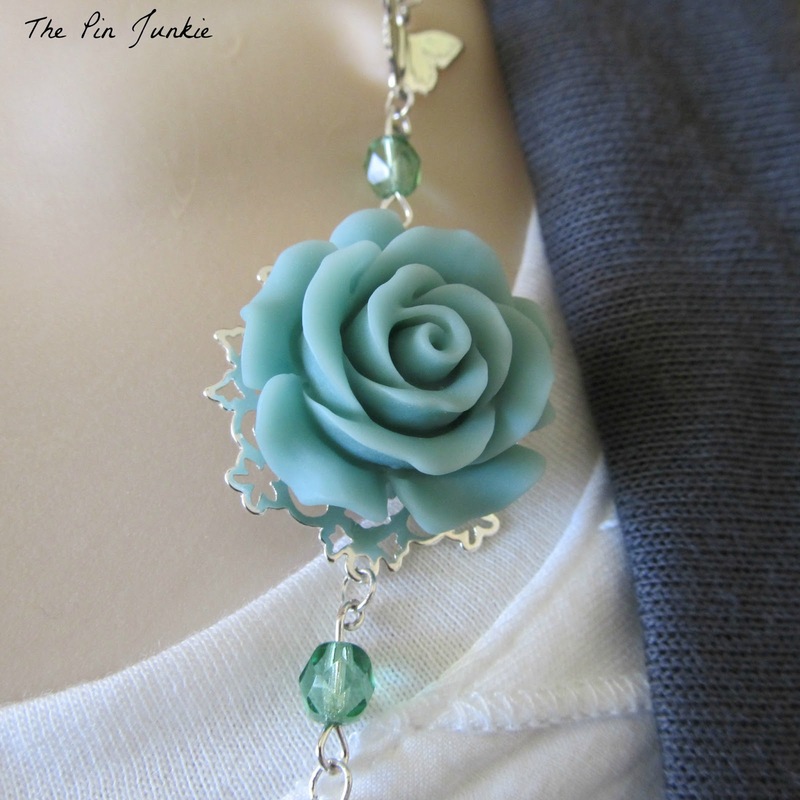 Using jewelry glue, glue the cabochon rose onto the filigree setting. 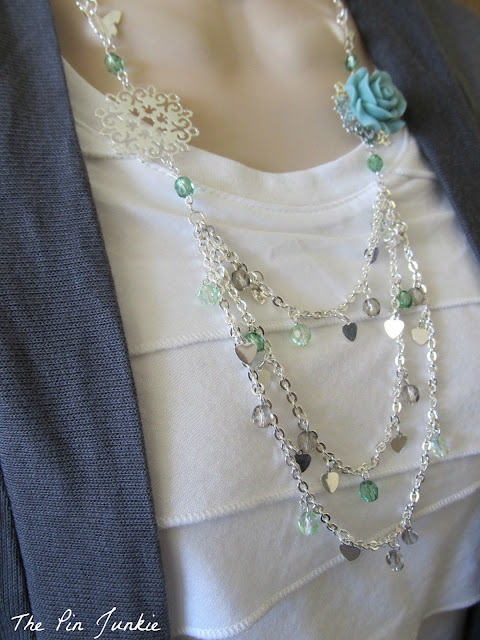 The last step is wear your jewelry and expect to get many compliments on your beautiful creation! 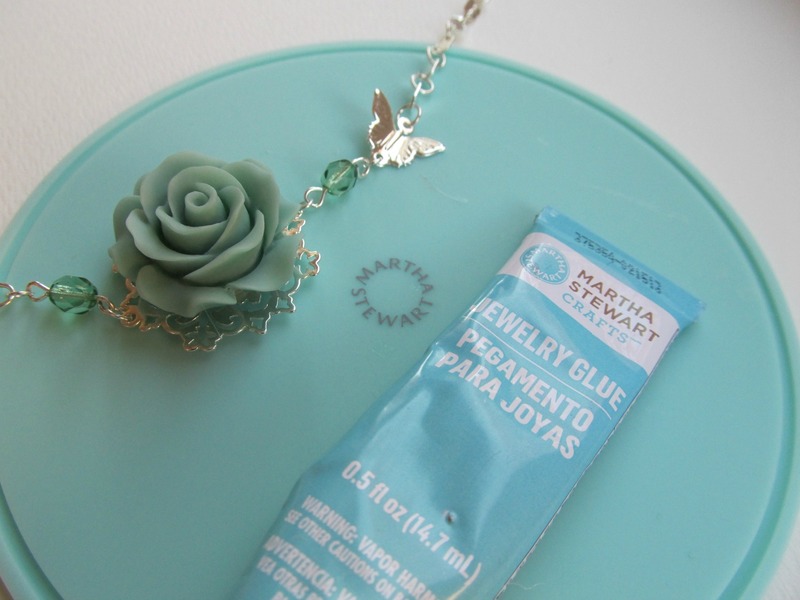 Here are some other great ways to use Martha Stewart Jewelry. Very pretty necklace. 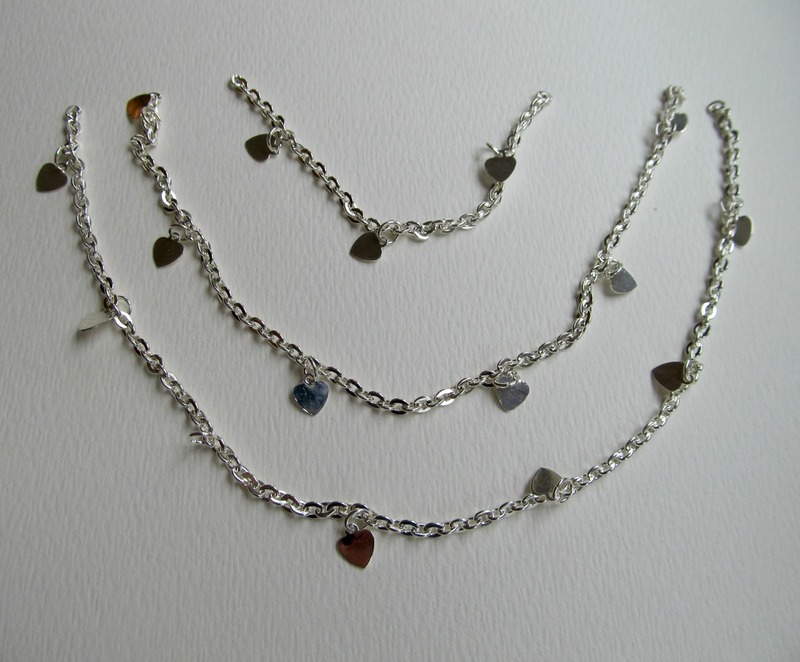 I love jewelry so much! I am hopping over from Friday follow along party @ A peek into my paradise. Great necklace!I like your blog!!! Wow, your necklace is simply stunning and elegant! You've done an amazing job! This is SO BEAUTIFUL!!! I found you on the Think Pink Link Party and this is really impressive! I love Martha Stewart products, but I love seeing them actually used more! This was my first time making jewelry with Martha Stewart products and I'm hooked! Thanks Maria! Thanks for the invitation to your party. I linked up. I love all the pieces you put together! So pretty! Thanks for sharing it at Monday Funday! This is so beautiful! I love the color of the rose! Thanks so much for linking up to Inspire Me Wednesday. Featuring you in next week's issue. Thanks for the feature Mel! Lovely necklace & thanks for sharing all Martha Stewart's great new product line. Thanks for sharing & linking up @ DearCreatives.com Hope to see you again soon! Wow! 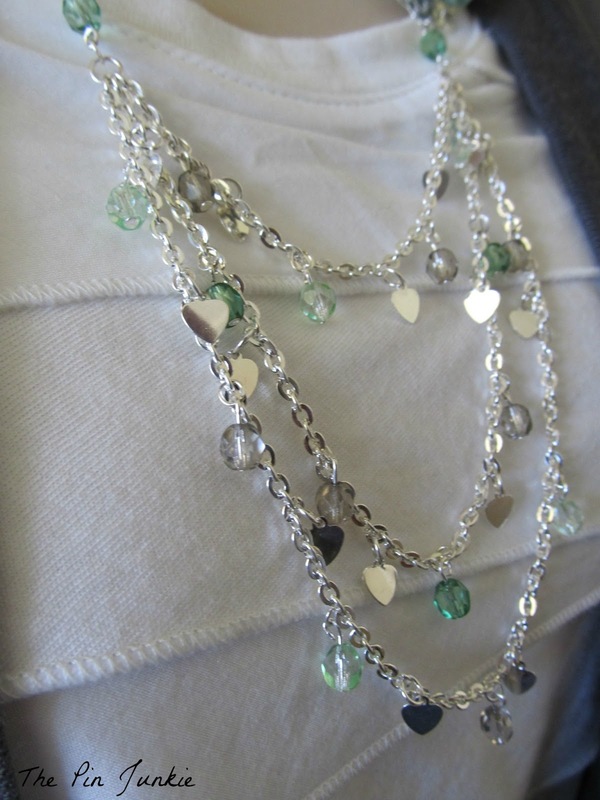 Beautiful necklace-I've never been into making jewelry, but you definitely inspired me to look into it!! :) Very nice. Found you at Daisy Cottage Designs Linking Party! No worries Andrea! Thanks for stopping by! Gorgeous necklace! Thanks so much for sharing it at Wicked Good Wednesdays! So pretty! I love necklaces! Wow - that's beautiful!! =) Thanks for linking up with us at the Pinterest Power Party! Hope you have a fabulous week!! Lovely! Thanks for sharing at Bacon Time. Featuring you from my month end link party! You did a beautiful job. 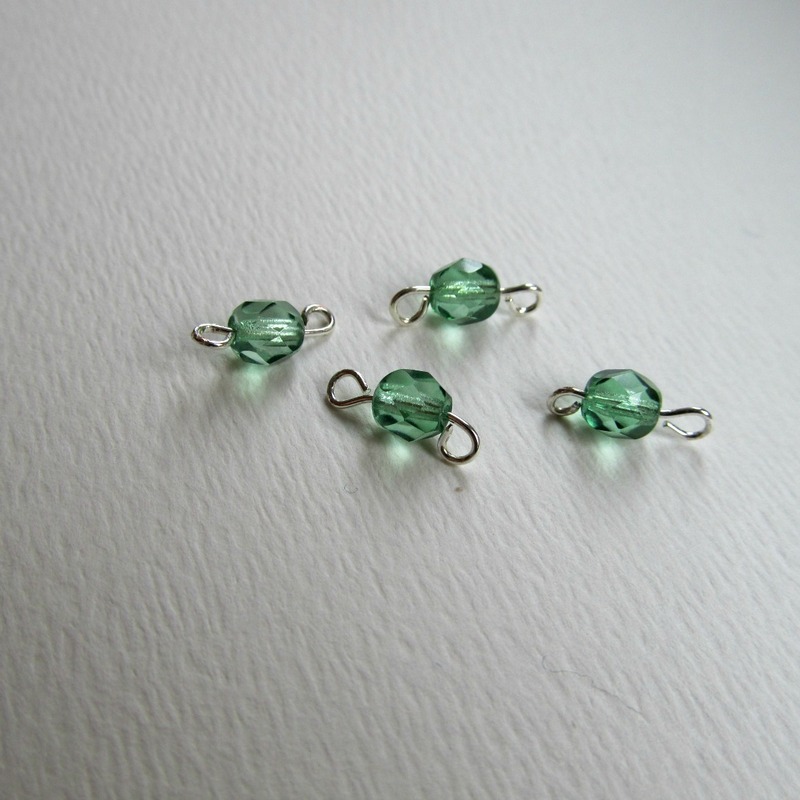 I will be featuring this tonight at my Swing into Spring party that opens at 8pm EST. Please stop by and pick up an I've Been Featured button. Thanks. Lucky girl...getting to try out Martha Products. I need to go check them out in the store soon! These are gorgeous creations! I have to incorporate these methods for my craft club I hold with my girlfriends every Thursday. I can't wait to show them how to design their own custom pins and necklaces. Thanks for the inspiration!